Kamangaui is one of several Sawos villages known for their conical-shaped pottery bowls, used for serving food. 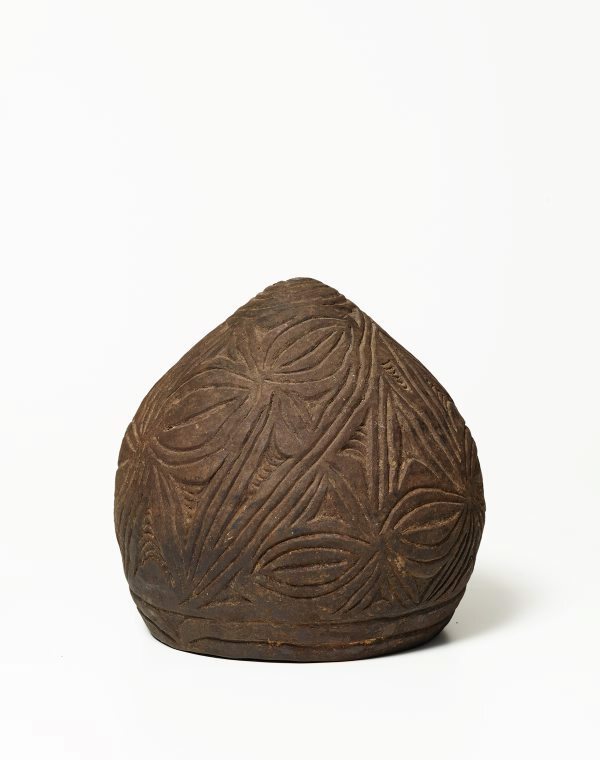 Pots and sago are traded from Kamangaui to Timbunke and Tambanum on the Sepik River, in exchange for fish, requiring a three-hour walk in either direction. Clay is dug solely by women who also make the initial form using a coiling technique. Men then decorate the pots with a prodigious variety of designs, each depicting specific totems of the clans they represent. With its slightly closed opening that keeps food warm, this bowl is known as a 'pelu kámané'. According to Gabriel Mowe from Kamangaui, the design recalls the 'silik nyuwa' (spider webs) found inside a village house.